But to talk about it in relation to file size is just dumb. It's really not in this case. 2GB of memory is probably no more expensive than what it has, such is the cheapness of the stuff below a certain level. You'd be right if its library required 32GB of memory or more. They're charging £70 for the sole reason that physical nostalgia allows them to get away with it. No-one'd bite at that price if it weren't official. A 3D-printed console with compatibility for 8Bitdo pads and a blank SD card, say. Only a full library offers something that's superior to a Pi solution: the combination of the games and cute hardware. Some people'll buy one to gut it to that end. It'll appear in Oz at some point. Already is. Got my order in, suggest you do the same if possible. Quite fancied this, but it's expensive and sold out so now it'll be more expensive. An odd approach from Nintendo, with these limited numbers. It's all about brand awareness like mobile games. It drives people to switch and 3ds purchases. Didn't our very own badger design box art very similar to this? Boom, 2 units pre ordered. Missed out again. Very unhappy. These things will never have everything but just having 9 less than the NES is a big hit. I bet we could all name 9 games that should be on this that have no issues with licenses or publisher problems. If no-one else at Oz end wants it I'll mail you the spare. Ta. Chuck in some Tim Tams and there's a few extra quid in it for you. Japanese one has Legend of the Mystical Ninja, ffs. Good shout. These things will never have everything but just having 9 less than the NES is a big hit. I bet we could all name 9 games that should be on this that have no issues with licenses or publisher problems. They've got Konami, Capcom and Square Enix on board, so that takes care of pretty much everything, at least once you discount the best 4 player games (not much point in Bomberman). Pilotwings, Chrono Trigger, Actraiser, Illusion of Time, Terranigma, UN Squadron, Mystical Ninja, Parodius, Super Aleste. Pretty much perfect. Sour quince and matcha it is. If we get an N64 one I reckon it'll be 10 games, all Nintendo games and cost about the same as this. Those 10 games will be very predictable to. Aw I was hoping for grapefruit and wallaby. Did these all sell out while I was asleep? Suppose i could always just get the original out the cupboard. Possibly. It's worth noting pre orders on the official Nintendo store haven't gone up so they may still have some. Is the jp one. Includes mystical ninja, super sf2, puzzle league and super soccer. 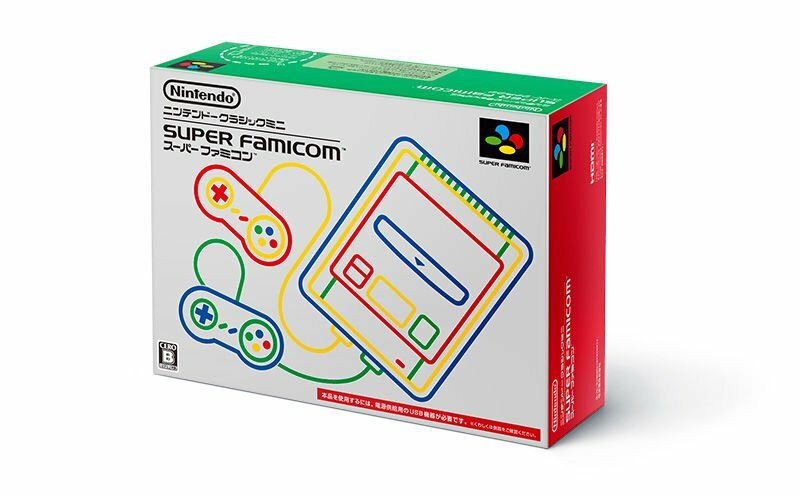 I have probably every SNES game ever released sitting right there on my Wii, all easily playable at any time, yet I still want one of these. Where'd you get one? Everywhere is sold out or won't let me check out. Took the dog for a walk last night and missed out. Gutted. That's the problem with these things, they're never gonna have everything you want. It would have been interesting if Nintendo picked 4-5 cast iron guaranteed titles for snes mini then let public vote on the rest. Super Tennis is a notable exclusion.